Last Chance to Visit the Museum! The Wooden Boat Museum of Newfoundland and Labrador will holding their Annual General Meeting on September 12, 2015 at 3:30 PM at Harbour Breeze, Harbour Grace, NL. 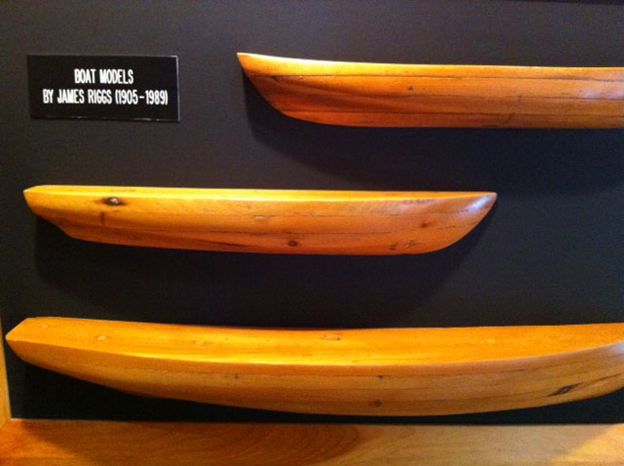 The Wooden Boat Museum is currently looking for half models (on loan or donation) for use in an upcoming project. If you have a half model that you are willing to share with us, please contact Crystal Braye at (709) 699-9570 or folklore.wbmnl@gmail.com. 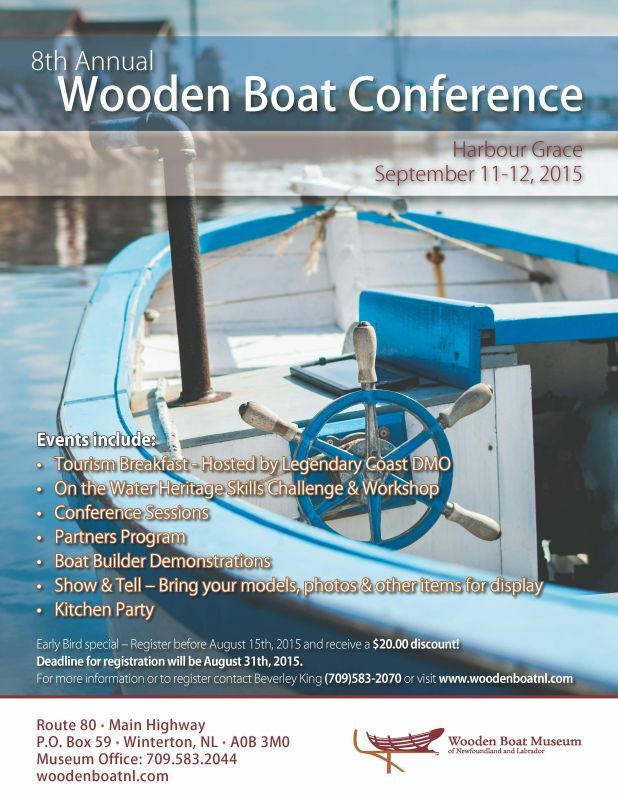 8th Annual Wooden Boat Conference will be held in Harbour Grace on September 11-12, 2015. 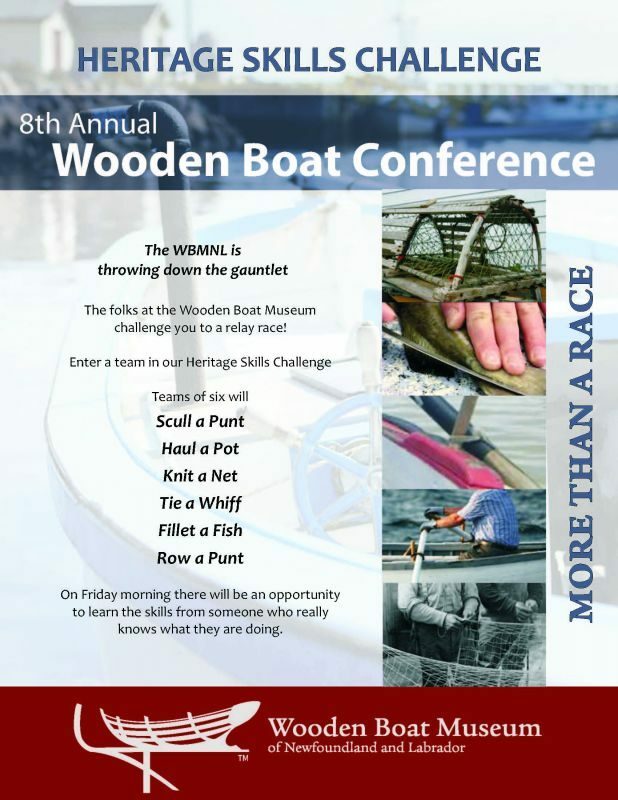 Our 8th Annual Wooden Boat Conference will be held in Harbour Grace on September 11-12, 2015. Join us Friday morning, September 11th, at 11:00 AM for a two hour training workshop for our on the water Heritage Skills Challenge. Stay tuned for further details as the program develops. Bring your boats and join in our on the water activities which will take place from the Harbour Grace Marina beginning at 2:00 PM. Legendary Coasts Eastern NL DMO will be also be hosting a Tourism Breakfast on Friday, September 11th – details to be announced. 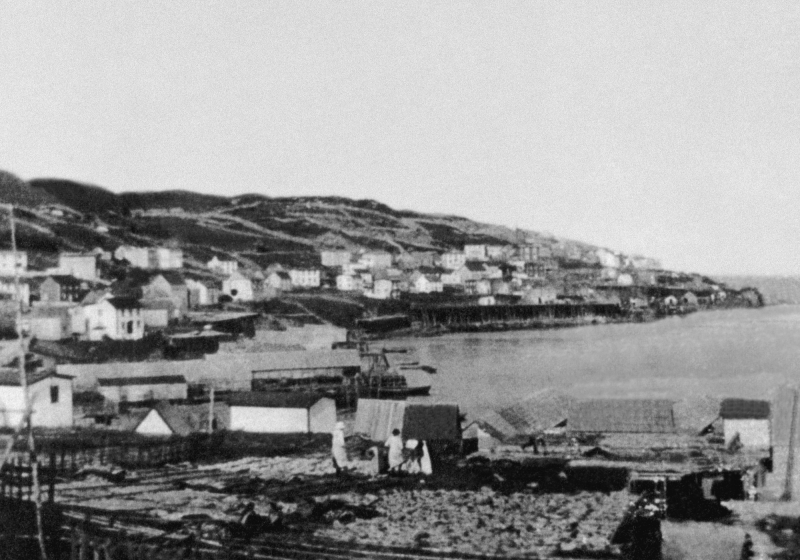 Conference Sessions – Saturday’s sessions will begin with a presentation highlighting the Petten Family – longtime boat builders and fishermen. Bruce Whitelaw will bring us up to date on what’s happening in Trinity in 2016. Our International Conference is taking shape and it’s an event you won’t want to miss. The morning will conclude with our boat builder demonstrations – a time to chat and see them demonstrating their unique boat building skills. During the afternoon sessions, Jerome Canning and Jim Dempsey will give a presentation on their trip to Pasaia, Spain earlier this year where Jerome had an opportunity to participate in the building of the San Juan Replica. Show and Tell – Do you have any models, half models, three piece molds, pictures or any other items you would like others to see? We will have tables set up for you to display your items. If you plan on bringing things to display, contact Beverley King at bkingheritage@gmail.com and we’ll reserve a table for you. Kitchen Party – Our Kitchen Party has been a major success at past conferences! Be sure to bring along your guitars, accordions, ugly sticks, etc. and join our Kitchen Party MC, Melvin Green, onstage Saturday night! Spouses Program – Again this year we are pleased to be offering a spouse’s program. Dozenodd Gallery in Carbonear will be the hosts for the Saturday program – the day’s events will be available by mid-July. Early Bird special – Register before August 15th, 2015 and receive a $20.00 discount! Deadline for registration will be August 31th, 2015. List of accommodations and conference registration form provided below. Looking for to seeing you in Harbour Grace! The Wooden Boat Museum located in Winterton is the headquarters of WBMNL’s organization. Visit Winterton to learn the story of Newfoundland and Labrador’s wooden boats from prehistory to today, view our collection of traditional wooden boats and artefacts, watch our resident boat builder as he works in our boat building shed, take part in our demonstrations and workshops, or explore our Heritage Walking Trail. The Wooden Boat Museum is open daily 10:00 AM to 5:00 PM from June 15, 2015 to September 4, 2014. The Wooden Boat Museum is located on The Baccalieu Trail (Highway 80) in Winterton, approximately 71 kilometers (54 minutes drive) north of the Trans Canada Highway. If you need help finding us, we can be found on the Google Map below. You can zoom in / out on this map to get a better feel for where we are located. The Wooden Boat Museum of Newfoundland and Labrador is pleased to announce the addition of a new exhibit at our headquarters in Winterton. 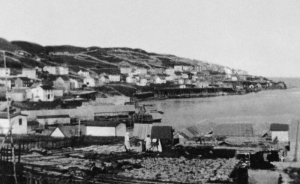 “They Came for the Fish and Stayed for the Stages” tells the story of Newfoundland and Labrador’s salt cod fishery through a look at the physical infrastructure which supported this way of life across the province. With a special focus on Winterton, this exhibit describes how stages and flakes were used to process salt cod, and includes photos and genealogical information that traces the history of fishing stages back to the early twentieth century.